We noticed more and more events finishing at a loss for the store. We were doing pack-per-win, plus a participation pack. Admissions were set so that that events would almost always pay for themselves, except for events that had an unusual number of rounds with odd player counts—odd numbers mean I pay the same cost in prizing with fewer admissions collected. Imagine our surprise when we saw odd player counts far more often than even ones—but only in Constructed events. This was statistically improbable. We knew something was wrong. But what? The key to programming events for success is to change them as seldom as possible. But while your model may not change, player behavior is bound to. What happens when you discover a serious problem? When I say "serious problem" I don't mean "the store up the road has an event at the same time." I mean when your event model breaks. I mean "we're running ninety minutes over, keeping our employees extra hours." Or "our prize payouts have been far greater than expected and we're losing money." 1) Monitoring our OP mechanism to make sure it's revenue positive. This is how we knew adjustments were necessary in the first place. 2) Finding a solution that provides a good play experience and a benefit to our store. Changing your model risks scaring off existing players—but if OP isn't driving revenue, does it matter? 3) Enacting it decisively. Any change is bound to draw complaints. But do not flinch when you need to adjust to protect your economic model. Linus Torvalds, creator of Linux, famously said, "Given enough eyeballs, all bugs are shallow." In other words, the more people interact with your system, the faster your system's problems will rise to the surface. With more space came more players, and the bugs in our system quickly appeared. Some players had done the math. If there was an odd player count, they could get byes. If they got a bye in round one, they could drop and collect two packs. So they'd wait until there was an even player count, then purchase admissions at the last moment, hoping for a bye. Some players fight for every last percent of expected value. Fair enough. From the store's vantage point, it wasn't a big deal in any one event. But seeing week after week of worst-case-scenario prize outcomes, we realized these raindrops were going to cause a flood if left unaddressed. In the end, we had to implement separate prize structures for each event type. It turned out the problem only surfaced in constructed events because we went to great lengths to avoid odd player counts in draft pods. So drafts remained unchanged: a pack for playing and a pack per match win. 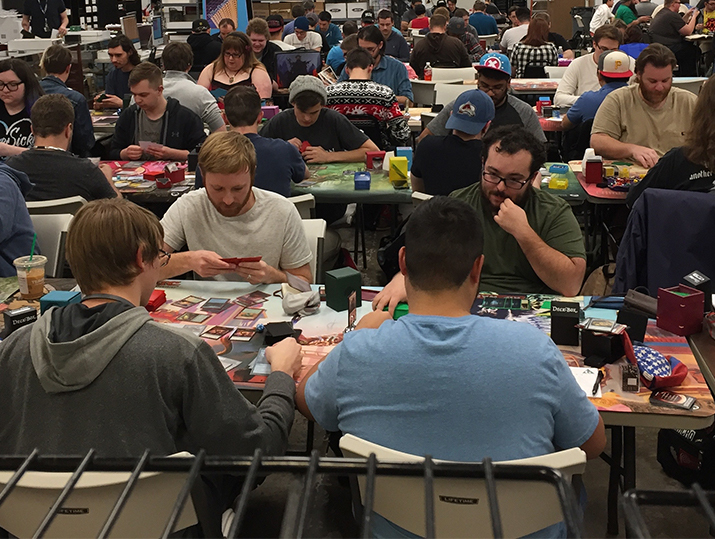 At casual events, pack-per-win begins at the first win (so no pack for a round one bye), and subsequent wins earn more. Competitive events dropped pack prizing entirely—we award store credit for records of 3–1 or 4–0. 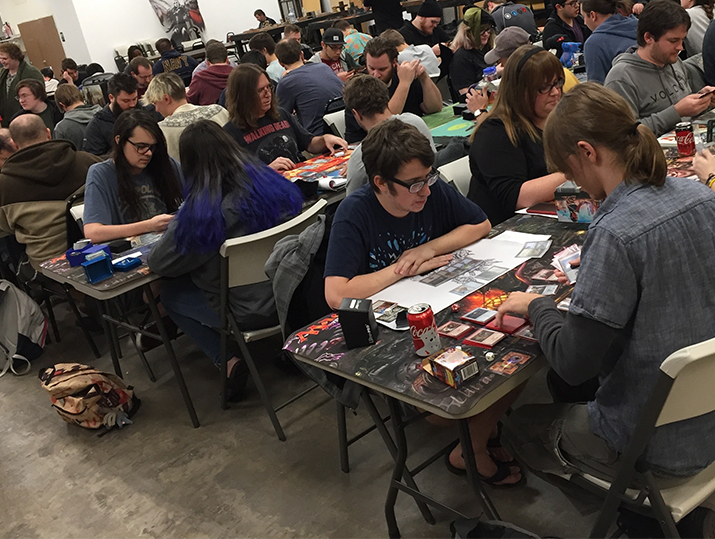 This solution kept casual events casual and competitive events competitive, and the store still makes out in the end. That brought us to step three: enacting it decisively. Running multiple prize structures sacrifices simplicity, so messaging had to be on the ball. We made an announcement in all channels simultaneously, with an effective date shortly in the future. Communicating in person was trickier. We had to reassure casual players juicing the prizes wouldn't mean winner-takes-all. It was easier with competitive players, who rarely object to steep prizing curves. Attendance remains strong and we're still seeing new faces. And if another problem comes up, we'll address it the same way: we'll figure out what's happening, find an answer that still provides a good experience to the players of that format, and enact it decisively. Are You Scheduling Too Many Events?